Some of you may have noticed that LinkedIn now allows you to add your own customisable Background Photo on your profile. 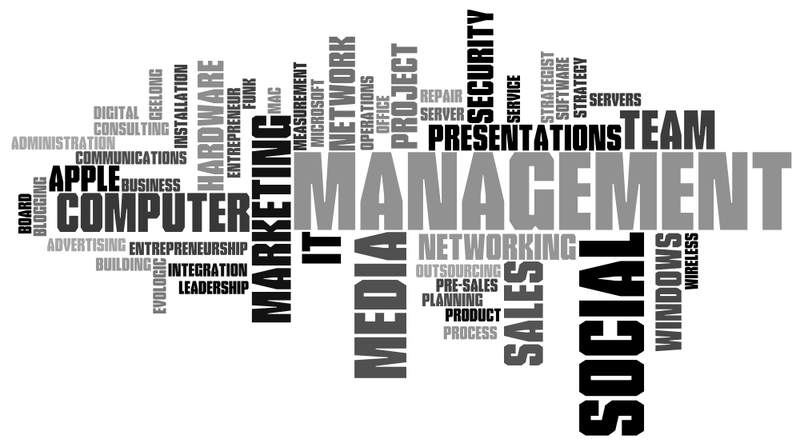 If you’re running your own business or part of a large organisation you might be able to use an existing business banner but if you have no idea what photo to use, I have an awesome idea, why not create your own Word Cloud? Firstly you need to work out the words you would like to use in your Word Cloud, this is up to you really but what I would recommend starting with your name, your employer or business name and your title. If you can’t come up with any others, I would recommend listing all the Skills you already have listed in LinkedIn, list all these in a text file, you’ll need them soon. Don’t have any Skills listed in your LinkedIn profile? You can find the guide to Adding and Removing Skills on Your Profile here. Now that you have your words listed, head over to www.wordle.net and click on Create your own. Enter all the words you had listed in your text file and click Go. This will create a Word Cloud for you, from here you can play with the Font, Layout and Colour till you find the look you are after. Wordle has limited options, what I recommend is finding the Font and Colour you like and then play with the Layout by selecting “Re-layout with current settings” under the Layout menu. To keep it simple, I reccomend using a screen capture tool to cut out the image from the PDF you’ve saved. Open the PDF file, on a Mac use Command+Shift+4 and slect around the Word Cloud, once you unclick the file will be saved on your desktop. On a PC, I recommend the Snipping Tool, snip around the Word Cloud and save the image file to your documents. Now simply log into LinkedIn, edit your Profile and add your Word Cloud as your background image. You may find the resolution of the image pixelated, as simple trick is to make sure the Word Cloud PDF file is taking up as much space on your screen as possible when your are going through Step 5. Wordle will break up words from a name individually, you can play around with this by adding an underscore to the name or joining the word together to see what works best for you, I went with individual words and think it works. There are some great guides online for taking your Word Cloud to another level using Photoshop and I would recommend Googling these to get an understanding of what is involved. But for a simple background image that just puts the icing on the cake for your LinkedIn Profile, this guide is perfect, I used this same technique on for my LinkedIn Profile and you can be the judge on how much effort you want to put into it. Of course you can use this same Word Cloud on your Twitter and Facebook profiles too. I hope this guide was helpful and if you have any feedback or comments, please let me know below.